Dragon® Medical Practice Edition 4 PLUS PowerMic III - Talk2Me.com | Professional digital dictation and speech recognition solutions. Category: Dragon® Medical Practice Edition. 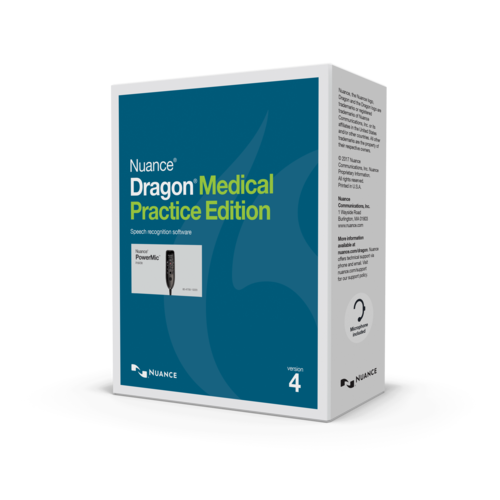 Dragon Medical Practice Edition PLUS PowerMic™ III from Nuance is one of the best workflow solutions for healthcare professionals. FREE Remote Training & Support from Dragon Certified Instructors is included with your purchase! Designed for smaller practices of 24 physicians or fewer, Dragon Medical Practice Edition accelerates a clinician’s adoption of a chosen EHR. Dragon speech recognition technology is 99% accurate right out of the box, and it includes the medical vocabularies of nearly 90 healthcare specialties and subspecialties. That way, a medical practice’s adaptation to an EHR is less time consuming and more beneficial. In fact, clinicians using the benefits of Dragon Medical Practice Edition experience substantially greater satisfaction than clinicians who use the EHR without Dragon Medical Practice Edition. When Dragon speech recognition technology is combined with the functionality of the Powermic from Nuance, medical practitioners experience one of the most efficient workflows in the healthcare industry. 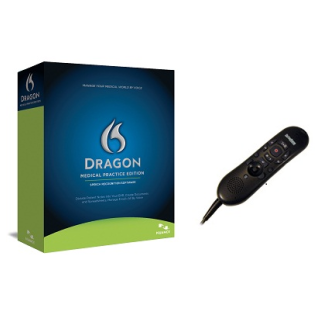 The Powermic is specially designed to enhance physician productivity by being used with Dragon Medical Practice Edition. It allows users to comfortably control both standard dictation and speech recognition functions. 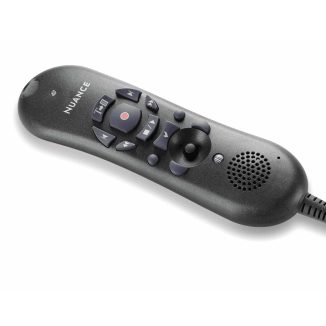 And by also offering users the ability to dictate, navigate, review, and edit speech recognition generated documents with the ease of one thumb, the Powermic creates the best user experience for EHRs by eliminating the need for a mouse. 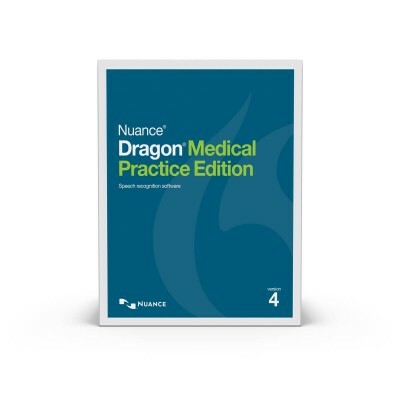 Dragon Medical Practice Edition saves clinicians valuable minutes every day. With the virtually instant response time this speech recognition software offers, you no longer have to wait for transcribed reports or need to type into an EHR. As opposed to medical notes built by point-and-click EHR templates, Dragon speech recognition technology causes higher rates of reimbursement because of the quality and accuracy of its patient documentation. Dragon speech recognition technology eliminates up to $12,000 in annual transcription costs by allowing clinicians to dictate, edit, and sign medical records at the point of care. With Dragon Medical Practice Edition, medical practices become more productive and more profitable. Being 99% accurate right out of the box means clinicians can spend less times correcting errors and more time with patients. And as it continues to improve its recognition of your voice, Dragon Medical Practice Edition improves both quality of care and patient satisfaction. With the flush, angled microphone in the Powermic, any user can dictate comfortably while getting the most out of their voice. The Powermic allows clinicians to move throughout EHRs with ease and speed. Being designed to fit comfortably in your hand, it also contains the function of a PC mouse. This eliminates the hassle of switching between microphone, mouse, and keyboard. Talk 2 Me Technology Inc. Copyright TALK2ME.COM. All rights reserved.